Pretty good day. He ran errands with Walker and me this morning and played fine with the kids after school. More cool Lego creations. He is talking a lot more, more complex sentences. I also wondered if this diet would help Maggie, who had some of the symptoms too. Today I noticed that she was just especially happy and cute. Bouncing and happy. I wonder? Walker was off today before he headed for Austin. And Ike got some banned food. I haven't gotten rid of everything yet - it is so hard to throw away or give away 'perfectly good' food. He had Kroger club crackers for lunch, which are not approved. I think that have BHT in them. He also took a DanActive strawberry yogurt drink from the fridge. It contains strawberries, which are banned due to the salicylates, and "natural ingredients" which are code for artificial crap. He also took some unapproved rye bread from the Kroger bakery. I made myself a sandwich and left the pickles on the counter. Pickles are banned in stage one due to vinegar. When I wasn't looking, I heard Ike say, "mm mmm pickles." I ran to him and snatched two off his fork and threw them in the sink which resulted in pitiful crying. But he did eat one. polysorbate 80: an emulsifier, "used in canned pickles to disperse flavoring and artificial coloring." Supposedly a safe but very complex chemical. 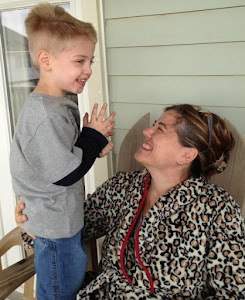 Oh sweet girl, I pray for you, as I am pouring over this new blog of yours hoping to find answers for my own children. God give us the strength to keep reading ingredients and keep standing strong.